TRT PET 2017 Merit List Released on 30-07-2018 and available Now.To Download PET Merit List Click Below Links. 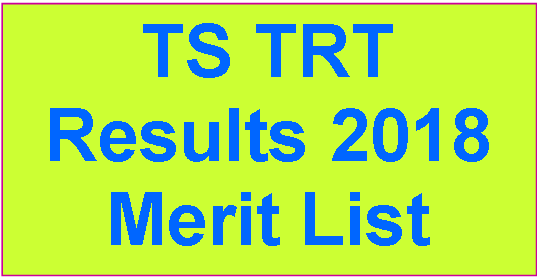 TRT LP(Language Pandit) 2017 Merit List Released on 16-07-2018 and available Now.To Download LP Merit List Click Below Links. Updated: Revised Merit List as on 10-07-2018. TSPSC Released TRT 2017 (Teachers Recruitment Test) Results/Merit List of SGT All medium on 25-06-2018. 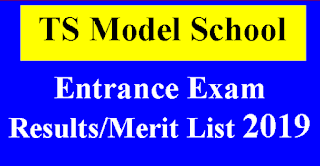 To Download SGT Merit List Click Below Links. TSPSC Released TRT (Teachers Recruitment Test) 1:3 Selection List of SA(School Assistant) of Languages and Non Languages of All medium on 20-06-2018. To Download 1:3 SA Selection List Click Below Links. School Assistant Results available Today i.e,08-06-18. And SGT LP PET and PD Results Expected to be available in Last week of June 2018 as per news sources. TSPSC is going to Release First State Merit List of candidates.Then It will send to DEOs of Erstwhile district of Telangana for Certificate verification in the Ratio of 1:3 Candidates. TSPSC will announce first Open category post in state Then District wise local Category Post. 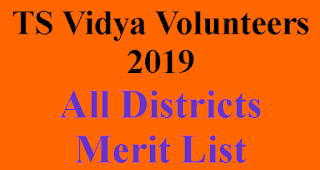 Open Merit Candidates have chance to choose any district as per their rank. TS TRT 2018 Exam Conducted By TSPSC Telangana State from 24-02-2018 to 04-03-2018.and already Released Initial Key Preliminary Key of TRT 2017-18 Exam of Different Subjects and medium and also TSPSC Taken Objection on key From 21-03-2018 to 31-04-2018. And TSPSC Released TRT Teachers Recruitment Test 2018 Exam Official Final Key On 03-05-2018. And Now TSPSC going to release TS TRT Results 2018, TS TRT Merit List 2018, TS TRT Selection List For Certificate Verification. And TSPSC May be called/select Candidates in 1:3 Ratio for Online Certificate verification. We Will Update Dates of TS TRT Results 2018 and Selection list/merit list for Online certificate verification.So Keep Visiting this Page To get Fast update of TRT 2018 Exam Results. This Time TSPSC is going to conduct Online Certificate Verification.For This purpose Commissioner and director of school education Released Rc.452 on 05-05-2018 to conduct orientation program for Erstwhile (Old ) 10 district DEO,s along with Nodal Officer(technical) and other master trainees in computers on 08-05-2018 at 10.30am at CGG Dr. MCR HRD , Jubilee Hills Road No.25 Hyderabad For smooth Conduction of Online certificate Verification of TS TRT 2017.